pleasure and pain | darkness overcomes you . . . 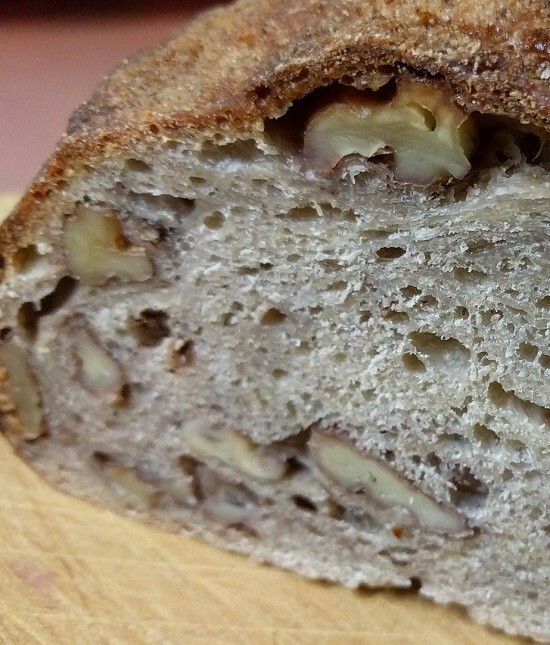 The latest choc-walnut sourdough bread baked for me by diskmeliadorn could be her best ever. The flavour is superb and the texture sets a standard by which all sourdough bread should be judged. The crust is just the right thickness and density, and the inner bread is chewy enough to give my muscles a good workout. And therein lies the issue. My left temporomandibular joint is hurting and clunking. Eating this bread is a noisy and sometimes painful experience. But if there’s one thing I’ve learned about life, it’s that the greatest joys in life are inevitably associated with the deepest sorrows. If TMJ pain is the price I have to pay for the pleasures offered up by this bread, then I’ll do so gladly. This entry was posted in emotions, family, food and tagged daiskmeliadorn, pain, sourdough, temporomandibular joint, TMJ. Bookmark the permalink.